What is the Best Age to Start Drawing Social Security? 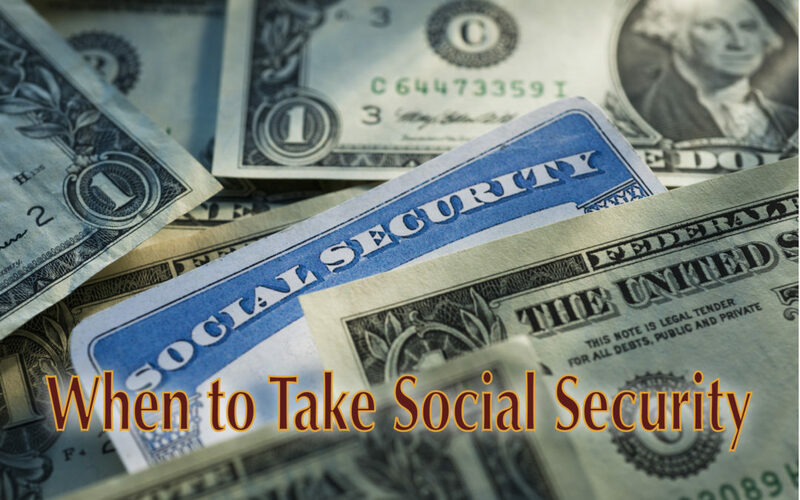 | Mason Financial Services, Inc.
One of the most common and most difficult questions clients ask me it when should they start their social security benefits. It is an important question in that social security represents a significant amount of money over the course of your retirement. The amount of money you have coming into your household each month will affect how you can spend your retirement years. It is a difficult question because one of the most important factors in the decision is unknown – how long you will be collecting it. There are other factors, however, which are known. To properly frame the decision, there are generally three choices – collect as soon as you’re eligible, usually 62, at the full retirement age of 66 or when you are eligible for the maximum benefit at age 70. Taking benefits early can make sense, as we do not know what the future holds. Two-thirds of Americans take this route, but how much earlier? If you wait, your benefit will increase by roughly 6% for each year (pro-rated by month). Is that enough to make it worth waiting, providing you are able to do so? My advice in general is if there is not a good reason to wait, take it as soon as you can. The reason is simple – we do not know what the future holds. If you wait until full retirement age, you would receive roughly 30% more benefit. I did the math for you – waiting until full retirement age would require receiving benefits until age 77 before you broke even. In other words, if you should pass away before age 77, you would have received more by taking benefits at 62. What about waiting until 70? Not only do you get the full benefit, but you would receive an additional 24% – 8% per year. The benefit looks nice when looking at the dollar amounts, but you would have to live until you were 80 to make it break even. There is more to the decision than just getting the most out of your benefits. Hopefully, you have other retirement assets that will help you live comfortably. The projected growth, liquidity and taxability of these assets need to be taken into when planning the best strategy. Finally, many of us are continuing to work into our retirement years, either out of a desire to be productive or out of necessity. If you draw benefits before your full retirement age while still working, you may need to pay some of them back. For every $2 you earn over $15,480, you will have to pay back $1 of benefits. This alone may be a good reason to delay starting benefits. Once benefits have commenced, you cannot stop them or put them on hold. So, if there is a chance you may want or need to return to the work force and earn more than a minimal amount of money, delaying your benefits may be the right move. As with most things financial, the right move depends on a number of factors. A good financial planner and tax professional should be part of this complex planning process. The above article is intended to provide generalized financial information designed to educate a broad segment of the public; it does not give personalized tax, investment, legal or other business and professional advice. Before taking any action, you should always seek the assistance of a professional who knows your particular situation for advice on your taxes, your investments, the law or any other business and professional matters that affect you and/or your business.